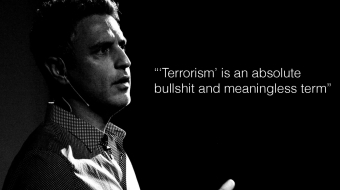 Reza Aslan explained ISIS and Islamic violent extremism to a packed audience at the Indian Summer Festival Thursday. With Senate debates set to continue this week investigating foreign funding of charities, here’s a look at some of the whacky arguments made so far. Tory environment minister Peter Kent was quick to criticize green foundations, but was coy about Conservative's use of American firms to get elected last May. After Conservative senators labeled environmental organizations as "anti-Canadian" and asked if they would accept money from the Taliban, environmental organizations hit back.